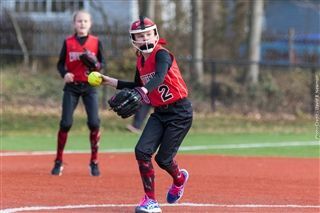 During recent years, many young athletes have experienced increasing pressure to specialize in one sport and play it year round. Some of this pressure comes from well-intentioned parents and coaches who believe that the only way for a child to achieve excellence in a sport and win a college athletic scholarship is to play that sport exclusively. But my experiences as an athlete, coach and athletics director lead me to believe that this push for athletic specialization is misguided. I’ve learned that playing multiple sports not only broadens and enriches a child’s overall athletic experience but also actually enhances the student’s success in his or her target sport. Though sports differ widely, each one teaches skills that enhance an athlete’s performance in other sports. Movements, strategies and mental attributes, such as resilience and stamina, learned in one sport enhance a student’s athletic achievement in other sports. 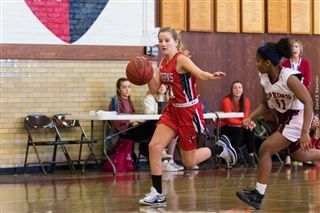 My own experiences on the varsity field hockey and track teams during high school, for instance, proved invaluable during my career on the University of Connecticut basketball team. Many of the concepts of field hockey –give and go, speeding down the sidelines, putting teammates in the right position –were readily transferable to the basketball court, while being a sprinter, hurdler and jumper on the track team increased many skills needed for basketball –speed, flexibility, jumping ability and mental concentration. No matter how much an athlete loves a sport, doing the same warm-ups, drills, and practices without variation can become drudgery and leave the athlete feeling stale. By contrast, each season of a different sport brings different training, coaches, and goals. This novelty refreshes and energizes athletes so they can approach their target sports with even anticipation and vigor when they return to them. Athletes participating in different sports often have opportunities to play different roles than they do on teams in their target sports. Because they may not be the stars or even the starting players, they learn to play supporting roles, thus gaining valuable perspectives on teamwork, sacrifice, and leadership. These experiences will serve them well when they move on to college, where they’ll likely be playing supporting roles, especially as freshmen. The human brain loves variety and novelty. When athletes periodically confront and master a new set of skills, situations, challenges and team dynamics, they increase their sports I.Q. and develop critical thinking skills that can enhance their academic performance as well.